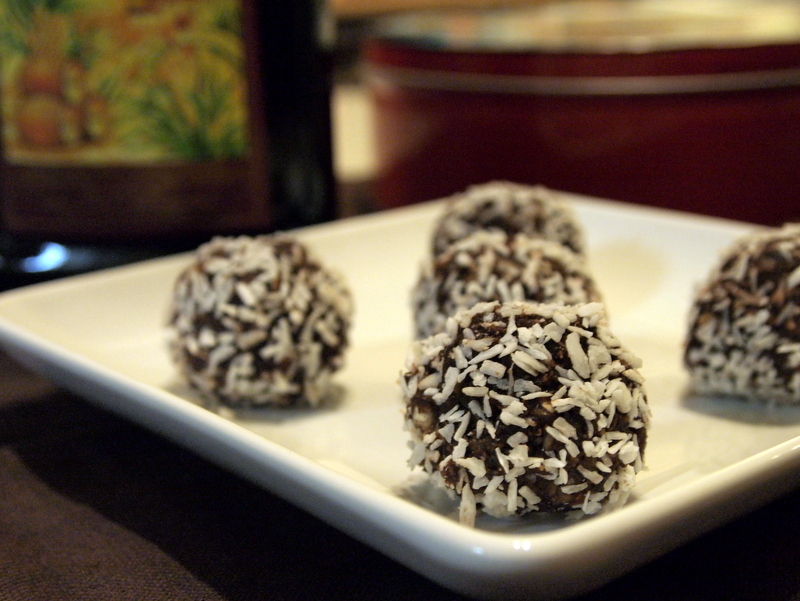 The first rum balls we ever had were made by friend we made while traveling in Peru who wanted something festive to contribute to our very international Thanksgiving feast. This version is both vegan and gluten-free, and is sure to be a hit at your next holiday gathering. In a food processor, grind the nuts, dates, cocoa powder, and oats. Place the mixture in a bowl and add the rum to make a dough. Use your hands to roll the dough into small balls and then roll them in powdered sugar and coconut.